Returning from a summer holiday in Ireland in August 1948, Labour Prime Minister Clement Attlee was admitted to St Mary’s Hospital Paddington to be treated for eczema of the foot. The condition was perhaps brought on by seasonal allergy or stress (it’s interesting how many of the Labour cabinet would fall ill after the pressures of war and now creating a welfare state in the midst of financial crisis). Whether this was a normal condition for hospital admission is another matter. It is tempting to suggest that it was helpful to have the publicity of Britain’s Prime Minister in his NHS hospital bed, demonstrating to the public that this was truly a health service for all. His admission – the first cabinet minister to be treated in an NHS hospital – was certainly well publicised: ‘Attlee Becomes a Bevan Patient’, proclaimed the headline in the Daily Mail. The article also noted that the Prime Minister had been placed in a private wing of the hospital with his own room. There is something of a tension there, even if this wasn’t emphasised. Attlee’s next publicised stay in an NHS hospital was as a result of duodenal ulcer in 1951 (and most likely this further stress-related condition may also have been a factor in the surprisingly long treatment for eczema of the foot in 1948). This time the publicised relationship to the NHS was less straightforward given that the central news story was that he was being visited by Aneurin Bevan furious over the introduction of prescription charges. It was Bevan, perhaps, who was using the symbolism. Again, the report notes, in passing, that Attlee was being treated in a private room. Treated for the same condition a decade later, following his retirement, Attlee was to be found in the elite private London hospital, the King Edward VII Hospital for Officers in Marylebone. The public had an eye for such detail. Even when Attlee was being proclaimed as a ‘Bevan patient’ in the early autumn of 1948, one Mass-Observation diarist cynically observed that no normal patient was signed out of hospital by six physicians. 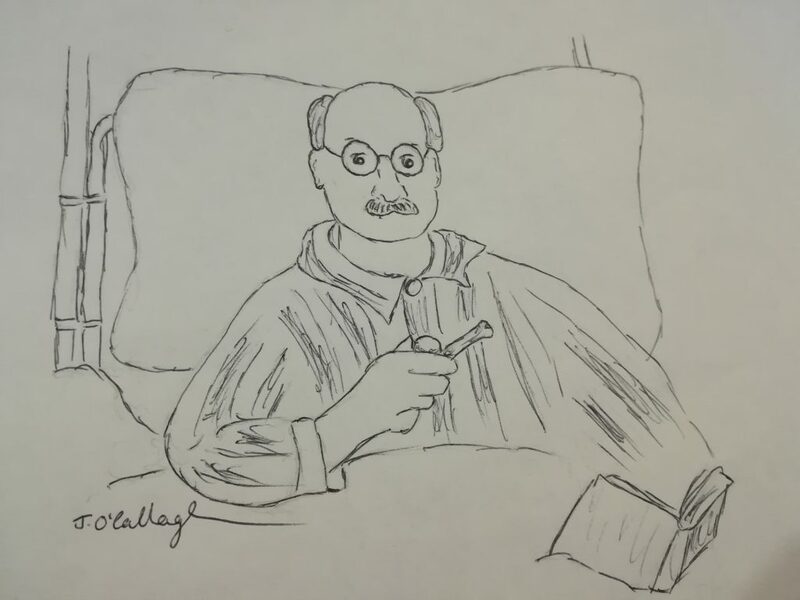 Rather than a demonstration of a new egalitarianism, Attlee’s treatment highlighted, for this diarist at least, that the ‘The Health Service should aim at making the national health A1 without regard to fame or news value’. Politicians have generally chosen not to turn their own healthcare into a symbol of support for the NHS. No doubt this in large part reflected an understandable desire for privacy over such intimate personal information. For many, however, it was also perhaps because they wouldn’t have passed the Attlee test. There have even been suggestions that the leading supporters of the NHS may have had blemished records in this regard. Bevan, for instance, had the close personal attention of his friend Sir Daniel Davies, elite physician to the Royal Family and Lord Beaverbrook among others: effectively, his own private doctor. And in the mid-1970s, as she led Labour’s efforts to get rid of private beds from NHS hospitals, Barbara Castle found herself under embarrassing criticism for having previously used a private room at University College Hospital (her defence was that she needed the privacy because of essential cabinet work that had to be completed during her stay). For another Labour politician, David Ennals, Minister of Health in the Callaghan government of the late 1970s, the problem was a rather different one: going into hospital for NHS treatment made him a sitting target for NUPE ancillary workers, disgruntled about the denial of a pay rise, and who now made a show of boycotting the cleaning of his room and the delivery of tea and other comforts. The one leading politician to buck the trend of keeping quiet about using private health care was Margaret Thatcher. Indeed, she was keen to parade the point. In 1983, for instance, she was admitted to the Princess Christian Private Hospital in Windsor to repair a tear in the retina of her right eye. Clearly sympathetic to Thatcher’s use of BUPA private health insurance, the Daily Mail used this as an opportunity to highlight that such insurance, though it carried a hefty price tag, was nevertheless good value for money as it secured the very top Harley Street surgeon in the field and the same luxurious catering that supplied nearby Windsor Castle. By contrast, the Observer’s coverage of Thatcher’s operation on her hand as a result of the condition Dupuytren’s Contracture in 1986 less sympathetically emphasised that having this done privately enabled her to avoid a four-year queue on the NHS. Thatcher’s BUPA-funded visits to the top private hospitals of London remained a regular feature of press coverage in the 1980s. By and large, however, a conspiracy of silence appears to have descended over whether politicians, and their families, made personal use the NHS. It seems unlikely that this is to be explained by a lack of interest from the public. Indeed, there have been several recent calls for this information to be made publicly available. The silence contrasts to the increasing availability of information on which Members of Parliament have financial interests in the area of private health care. The former appears to have been accepted as an issue for privacy and data protection; the latter, an issue of growing public interest and therefore worthy of publication however politically embarrassing. It is far easier to find information on whether politicians send their children to state or private schools. Indeed, the contrast between the handling of the personal politics of health and education is striking and merits further attention. What has attracted publicity in recent years is that arrangements have been put in place so that MPs are given ‘VIP treatment’ at St Thomas’ Hospital near the House of Parliament. This was justified on security grounds, but the revelation inevitably attracted criticism that this was yet another measure that would shelter politicians from the realities of what ordinary patients experienced in the NHS. If the cultural politics of the 21st century NHS now meant that politicians tended to keep their own healthcare out of the limelight, a significant exception was David Cameron’s open discussion of the importance of the NHS in the treatment of his son Ivan, who suffered from epilepsy and cerebral palsy and died aged six in 2009. Cameron’s willingness to talk about this was in contrast to Gordon Brown’s reticence in the case of his own disabled child. In interviews and speeches, Cameron told his party and the electorate that the experience of this treatment lay behind his belief and dedicated support for the NHS. As he pointed out, he had probably spent more time in the NHS over these years than any MP apart from a few doctors sitting in parliament. What Cameron didn’t make as clear is whether he himself, or his family, had ever used private health care. Cameron’s use of his son’s case to make clear his personal commitment to the NHS, like Thatcher’s parading of her preference for BUPA, and the publicity around Attlee’s status as the first ministerial ‘Bevan patient’, all indicate that the politician patient could become a tool in the politics of the NHS. How the public responded is harder to gauge. This is why the jaundiced response of the Mass-Observation diarist to Attlee’s NHS treatment is so intriguing. We’d welcome more evidence of public views on this issue. Is it wrong for politicians who voice their support for the NHS to use private medicine? Should the public have a right to know whether they do? And have feelings about this issue changed over time, and if so why? Dennis Healy, Defence Minister, was a patient at the Millbank military hospital in 1969. He had a senior officer’s single room. Security again. But as a retired major with an MC won at Monte Casino he had earned it. Clement Atlee had been a major in WWI. All of the senior Medical Staff at St. Mary’s had served in WWII. The Dean had been a Brigadier in Cairo, Near East Land Forces, responsible for the administration of medical facilities over thousands of square miles. This is a really useful point, thank you!